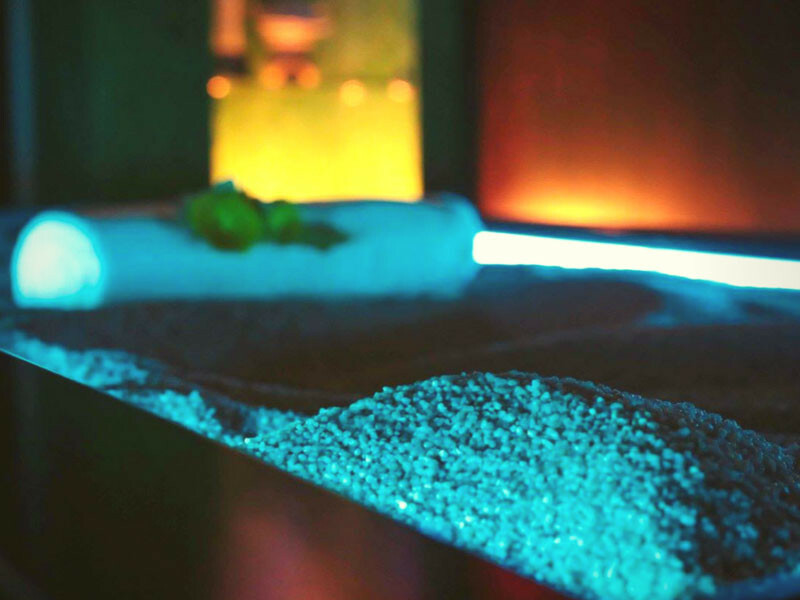 With the professional massage bed Sabbia it is possible to combine the properties of warm sand with massages that, by relaxing muscles, help us practice myofascial release and manual stretching, both designed to harmonize posture. 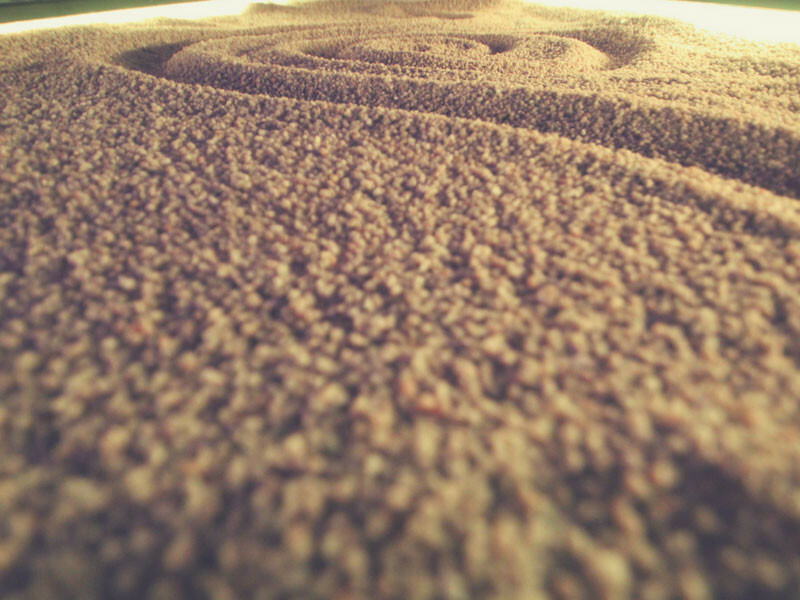 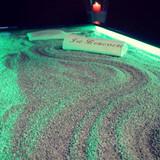 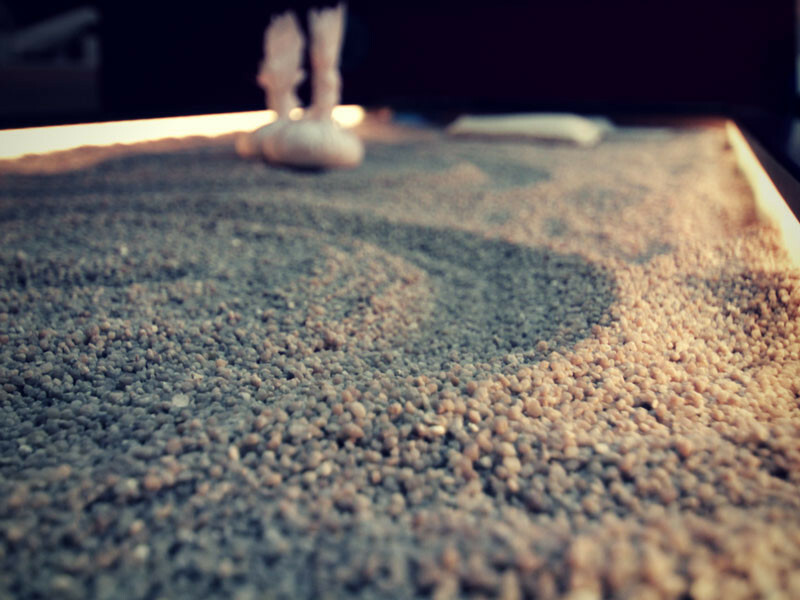 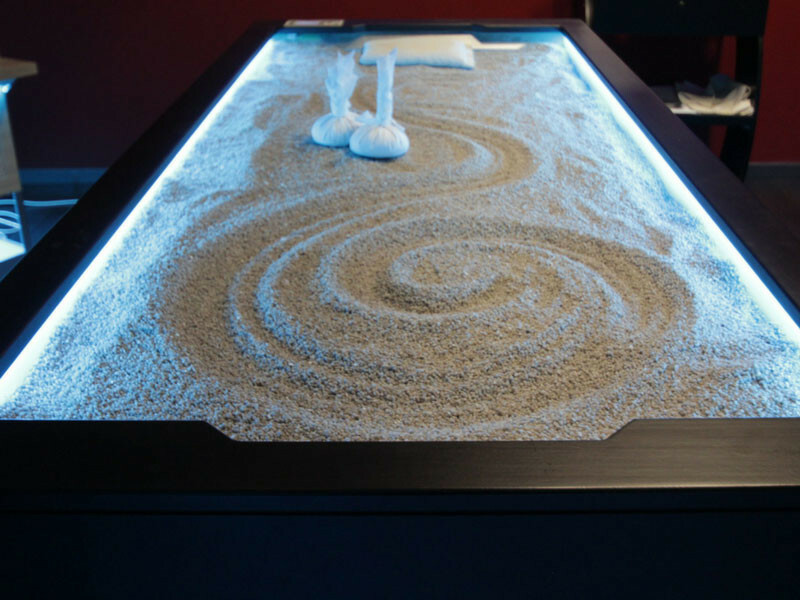 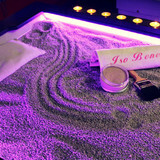 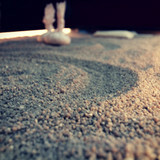 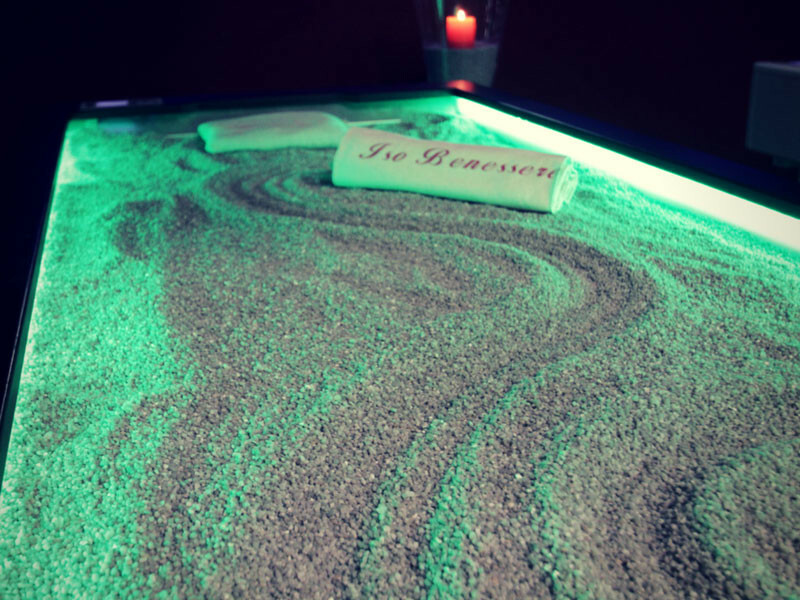 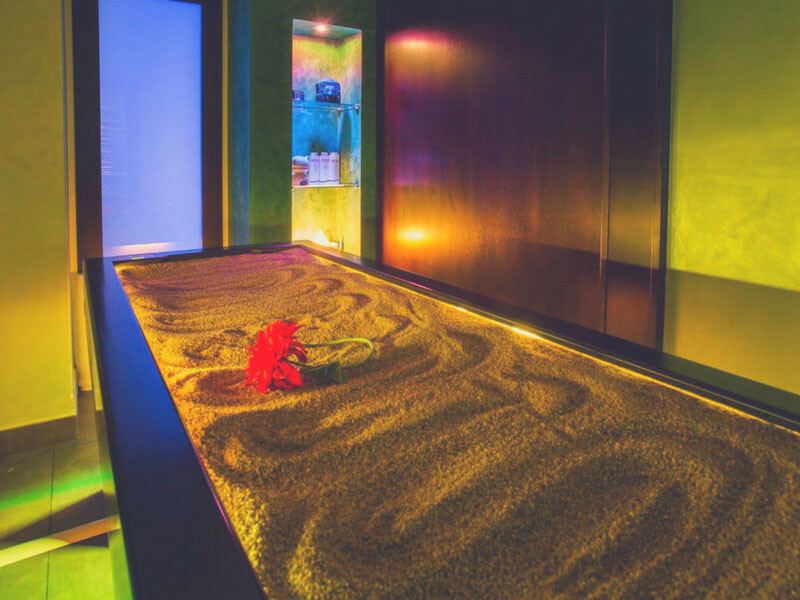 Since ancient times, sand baths have been recognized as having excellent painkilling and anti-inflammatory effects. 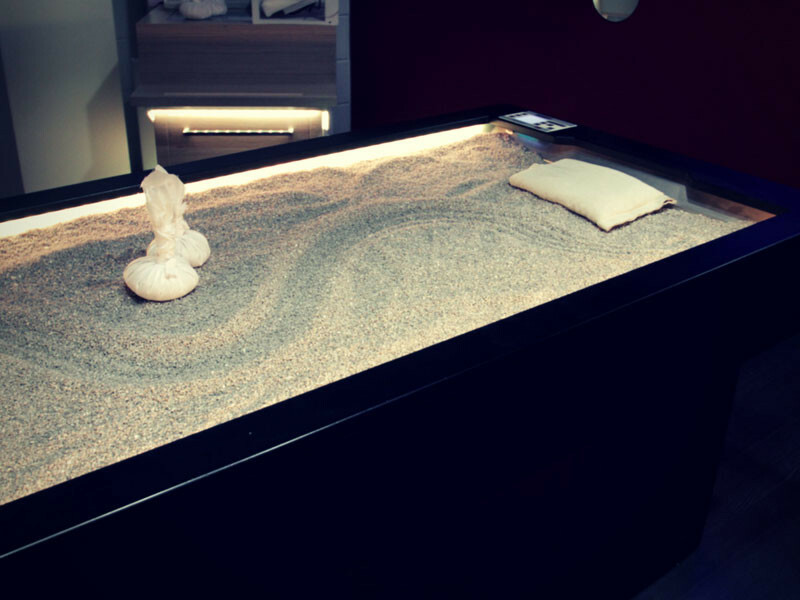 Thanks to its chemical-physical composition, the warm quartz sand heated between 32°C and 40°C - has a purifying, disinfectant and alkalinizing action and relaxes muscles, bones and joints. 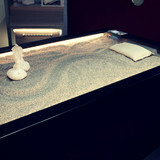 Under the steel tub that contains the sand, there is a perfect safety and efficient coating system. 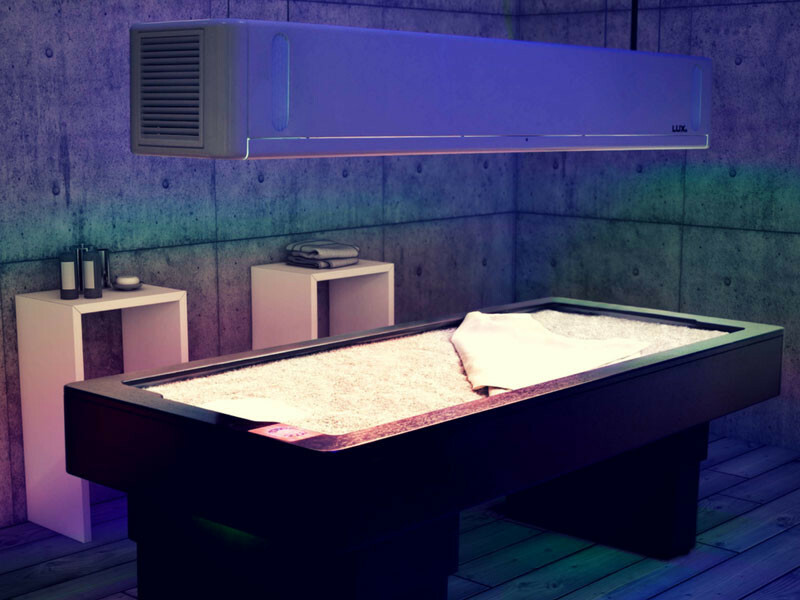 The temperature reached by the heating membrane creates a dry environment that prevents the formation of moulds and bacteria, maintaining constant sanitation. 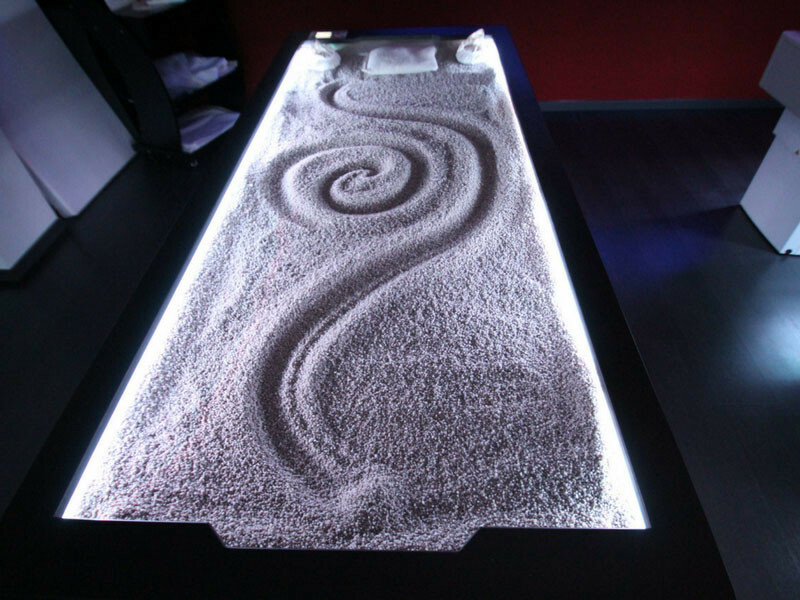 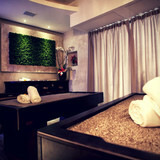 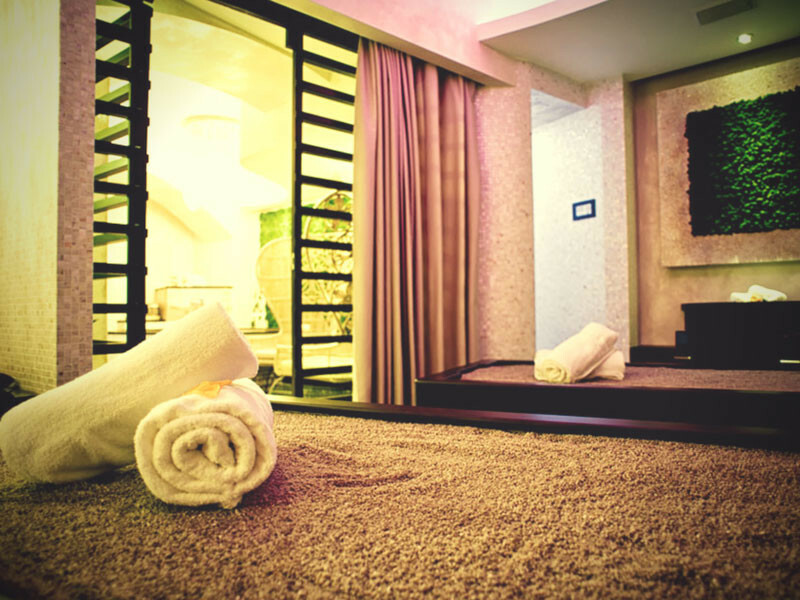 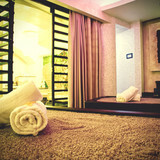 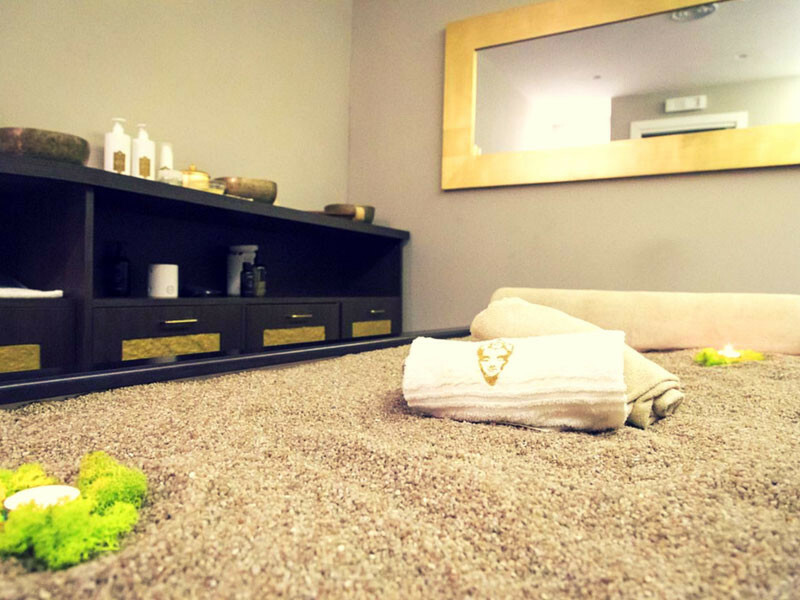 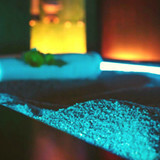 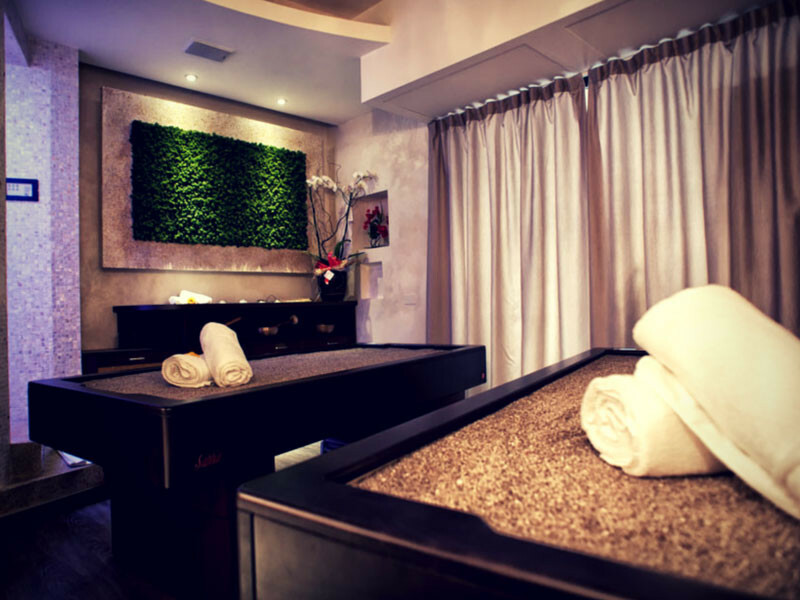 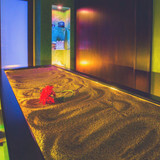 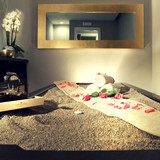 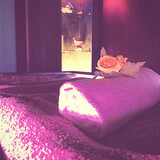 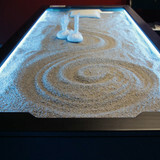 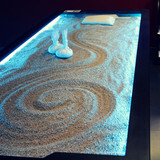 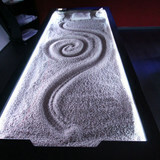 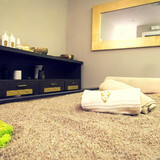 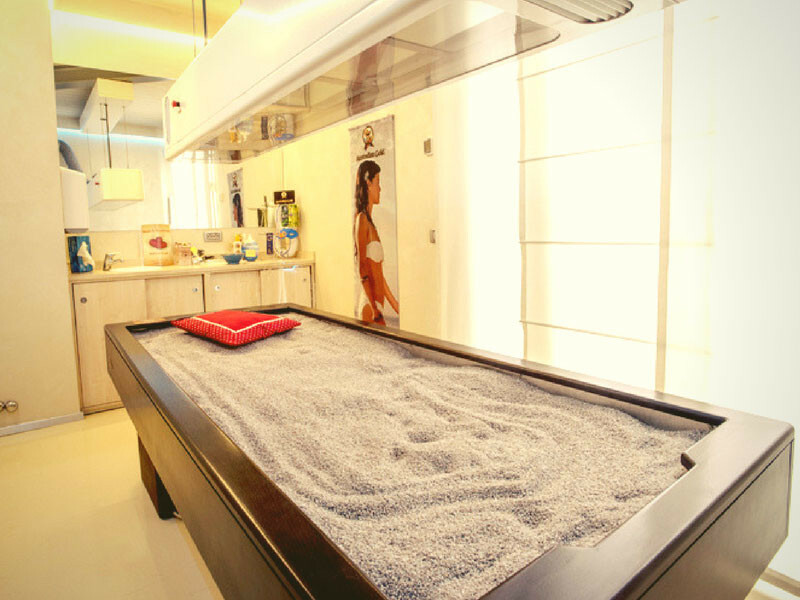 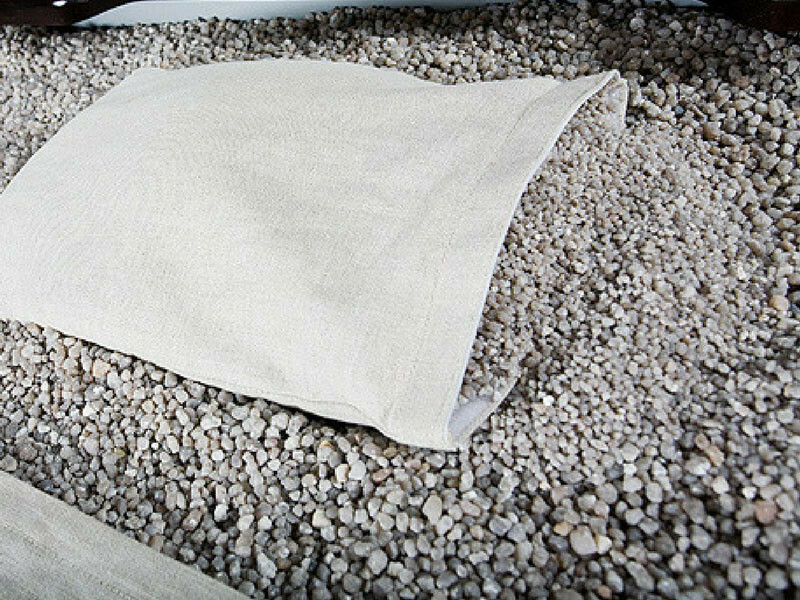 Sabbia is provided Quartz Sand and thanks to its optional it can be transformed into three diverse spa beds; it allows the replacement of the Quartz Sand by the Himalayan salt or by the water mattress, completely transforming it, its functionality and the work protocols that can be offered to the customer. 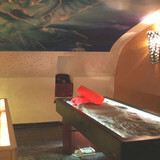 Sabbia with Himalayan salt is able to rebalance the body. 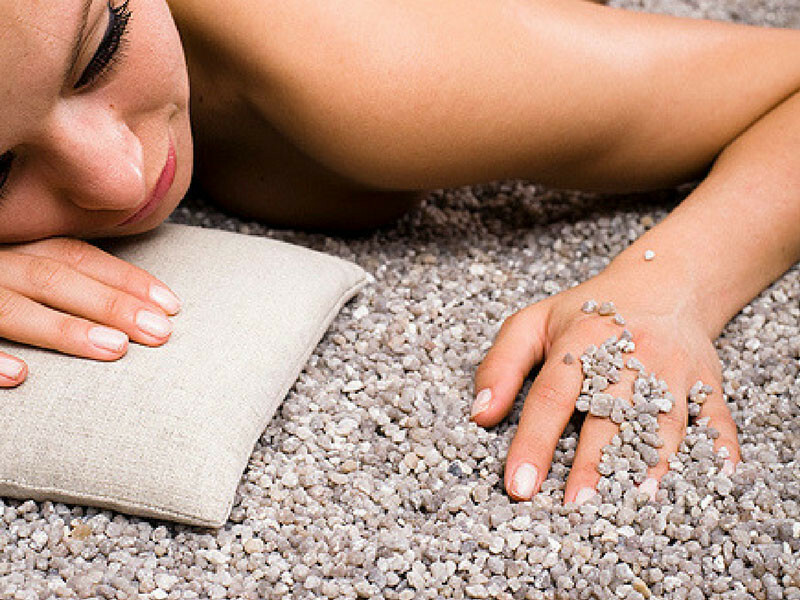 The heat and the micro-massage made by its particles further facilitates its capacity of interaction with the client, furthermore, the salt takes the customer’s shape. 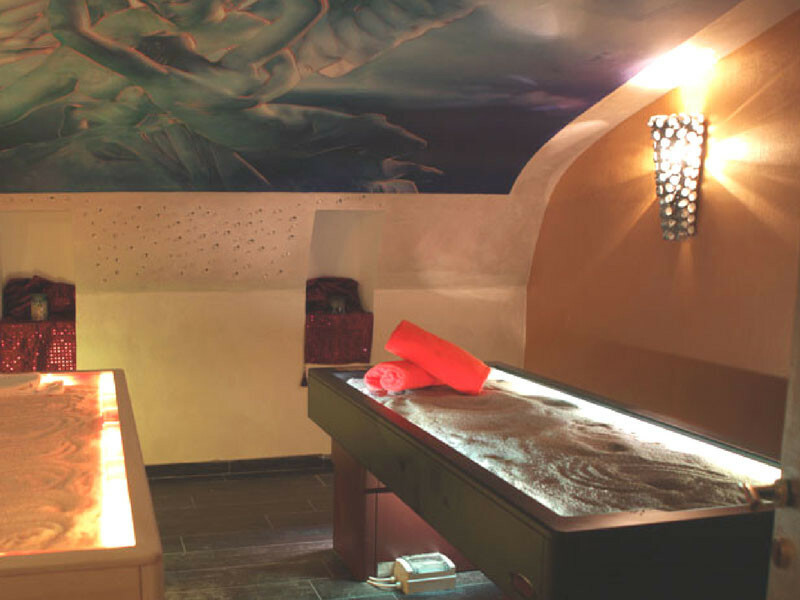 Sabbia with water mattress creates a series of "microwaves" giving a continuous body massage favouring the venous return and the lymphatic circulation. 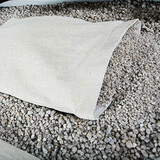 The mattress is made with hypoallergenic fabric and communicating compartments, to avoid annoying "wave" effects. 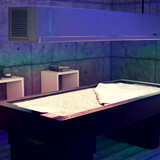 Its patent heating system is fast and safe and allows to regulate the bed temperature with great ease. 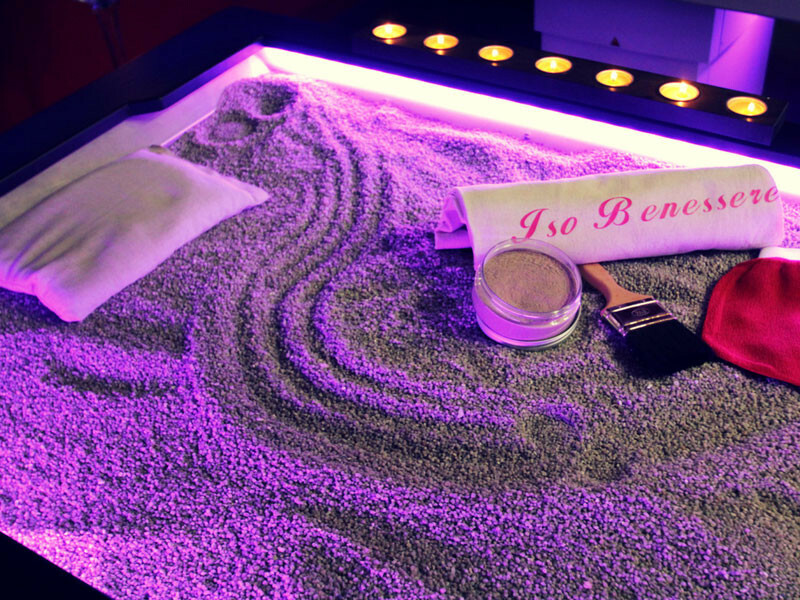 An advanced LED lighting system creates an amazing colored atmosphere that can be synchronized with the other ISO Benessere equipment in the room. 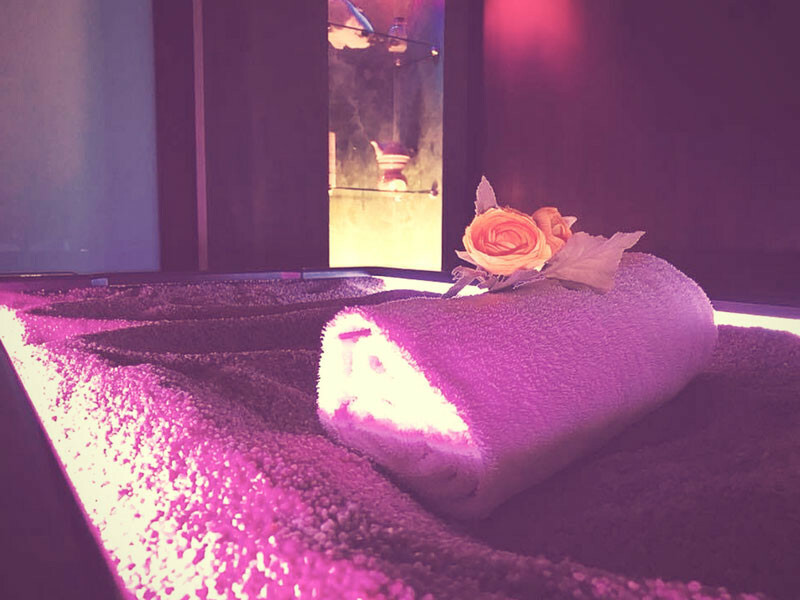 The professional massage bed Sabbia can be equipped with an electrical lifting system that allows the operator to work at the most comfortable height. 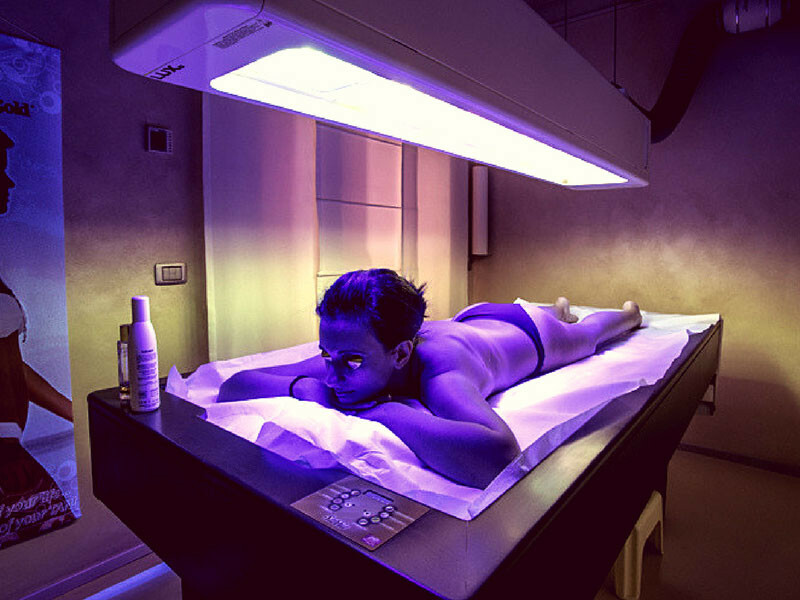 It was designed by ISO ITALIA GROUP to be used in conjunction with “LUXo”, the hanging module that contains tanning lamps and makes you feel like laying on the beach. 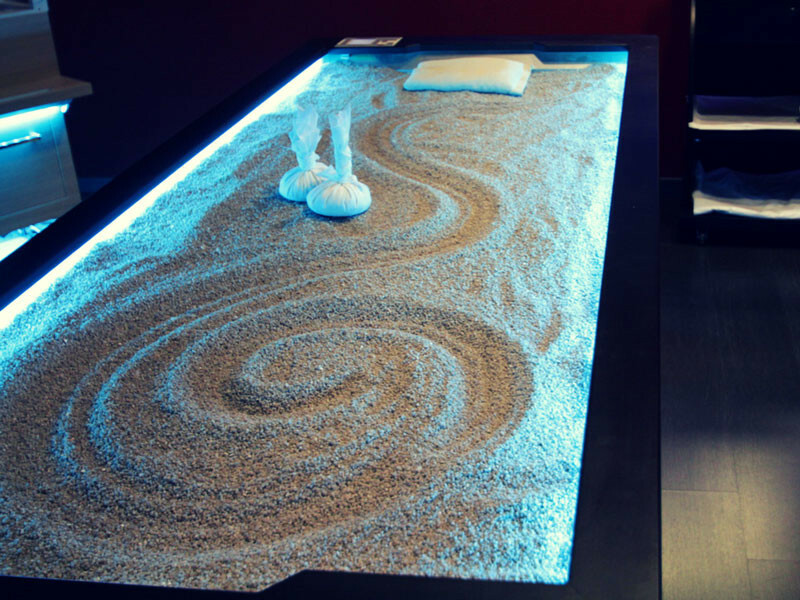 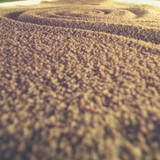 Sand, the professional massage bed like sand bath on the beach. 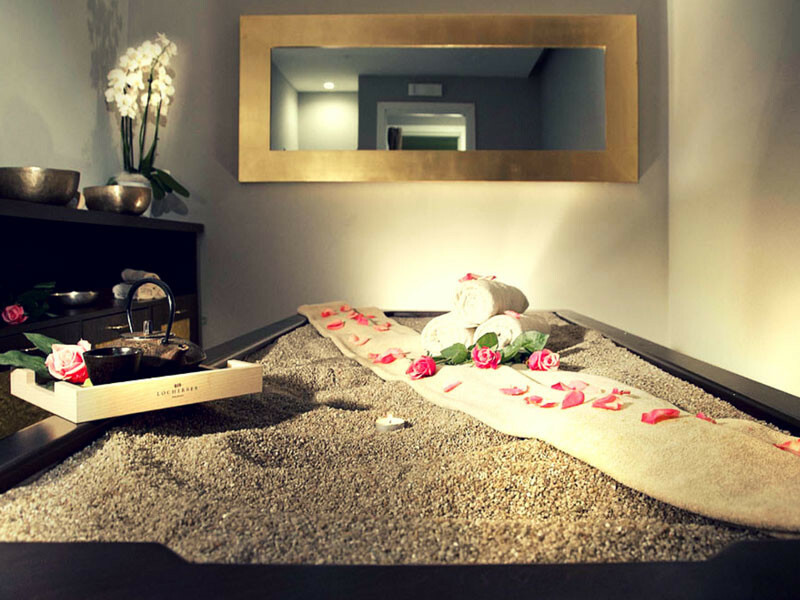 The warm quartz sand heated between 32°C and 40°C leave to those who are lying above, the pleasure of relax and benefits from sand, known since roman times.